Dirtbusters offers Ireland's most comprehensive power-washing and acid brick cleaning solutions. 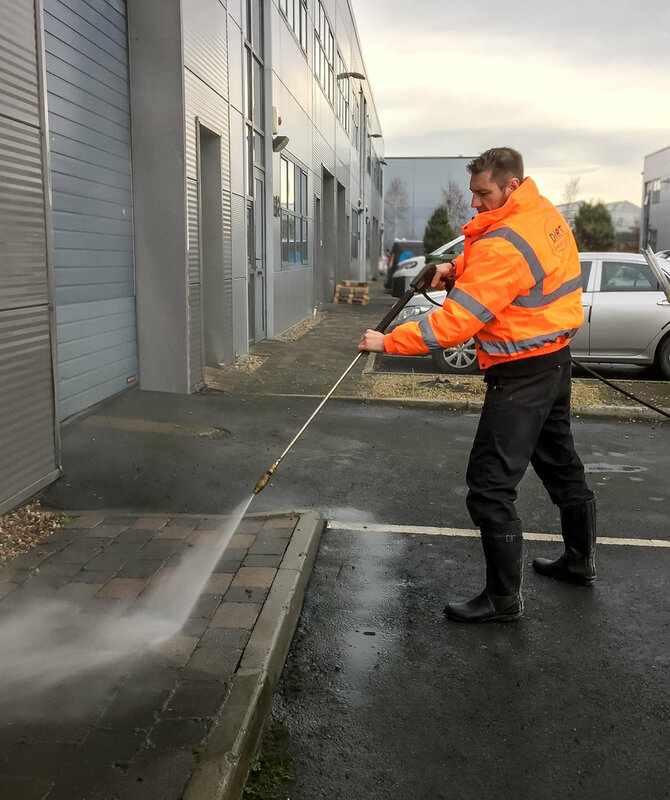 We have become the leader in Ireland’s industrial pressure washing market by consistently providing customers with prompt and professional solutions. Using the latest industrial cleaning technology, equipment, and practices we supply an environmentally safe power washing service. We take the necessary care at all times to ensure the safety of our staff and those around us by preparing detailed method statements prior to any work commencing and implementing proper controls and supervision. Dirtbusters have vast experience dealing with the removal of dried mortor splashes from brick work. We offer both high and low pressure solutions, while an Acid Brick Washing service is also available where appropriate. An initial procedure removes the heavy build up of mortor with a scraper or chipping hammer. We follow this with a combination of chemicals and pressurised water to complete the cleaning process returning the surface area to it's desired state. Being exposed to the elements, brick wall surfaces are vulnerable to damage from the sun, rain, snow, mould, mildew, algae, smoke, bird droppings, sand, and dust. If left to sit on the surface over long periods of time, such contaminants will not only make brick structures old and unsightly, but they will also cause material erosion. If left untreated these contaminants become ingrained into the carrying material and therefore harder to remove. Using low and high pressure washers along with environmentally friendly chemicals, Dirtbusters can remove water stains, salt spots, mould, mildew, dirt, and debris left after exposure to the elements or as a result of new construction activity. Please also see our chewing gum removal and graffiti removal services.